So what do you get when you cross a banana with a zucchini? 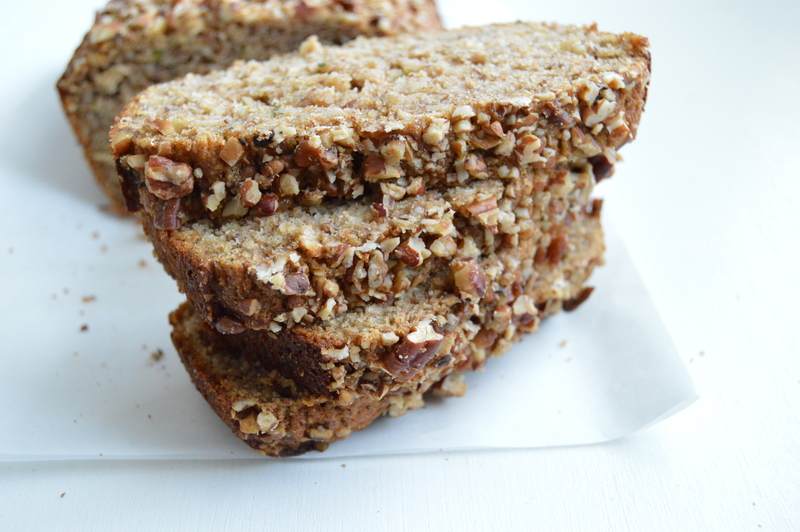 A really yummy and healthy sweet bread! Here is my last zucchini recipe for zucchini week! A yummy muffin sweet bread that has no white flour, oil, butter, or sugar. So grab that last zucchini chillin on your counter and grate it up. 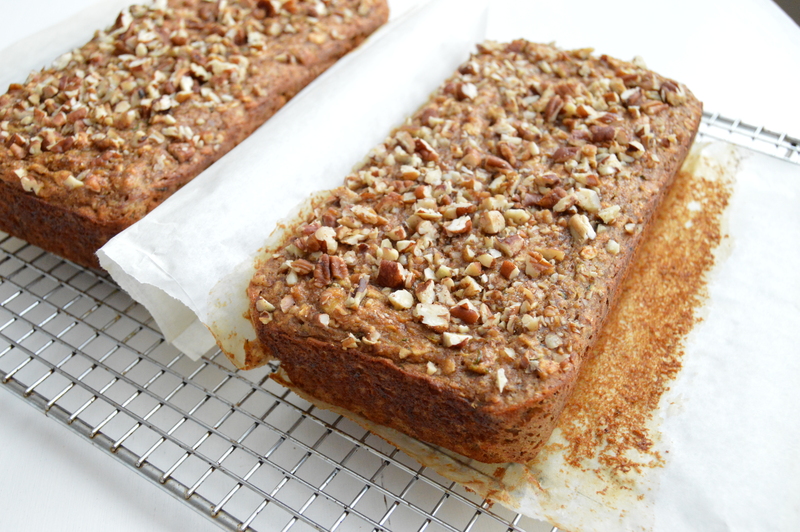 Pull those brown bananas out of the freezer and let’s bake something good for you. 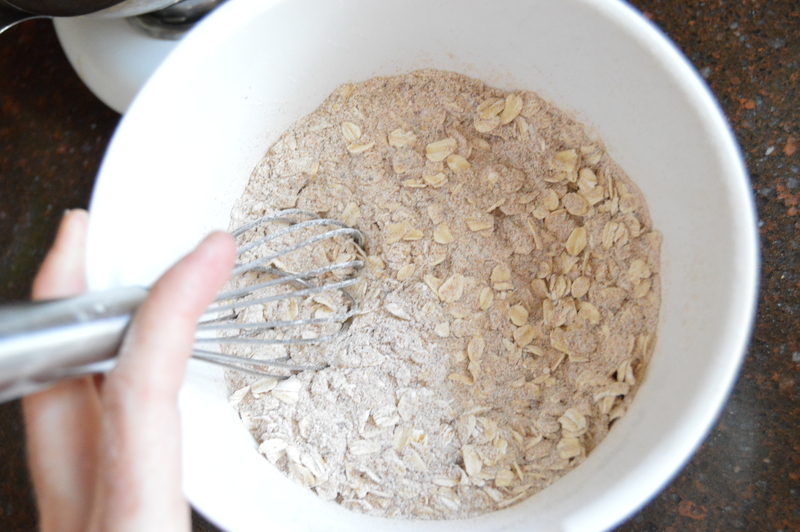 Mix flour, oats, flax seed, cinnamon, salt, and baking powder in a bowl and set aside. In the bowl of your mixer, add the apple sauce, honey, eggs, vanilla, zucchini, and mashed bananas. Mix on medium low until it’s all incorporated well. Add the flour mixture to the wet ingredients and mix again on low until everything is well incorporated again. If you are adding chocolate chips, add them in now. 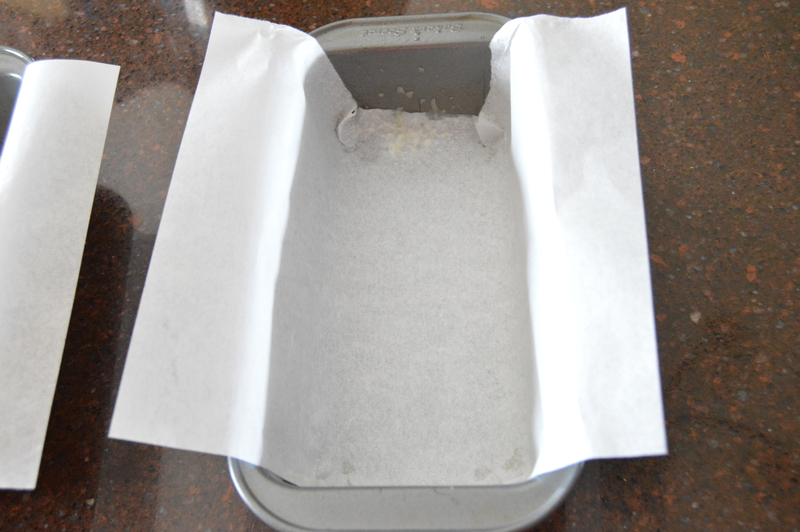 Line two 8 inch bread pans with parchment paper and spray with non stick spray any ends not lined with paper. 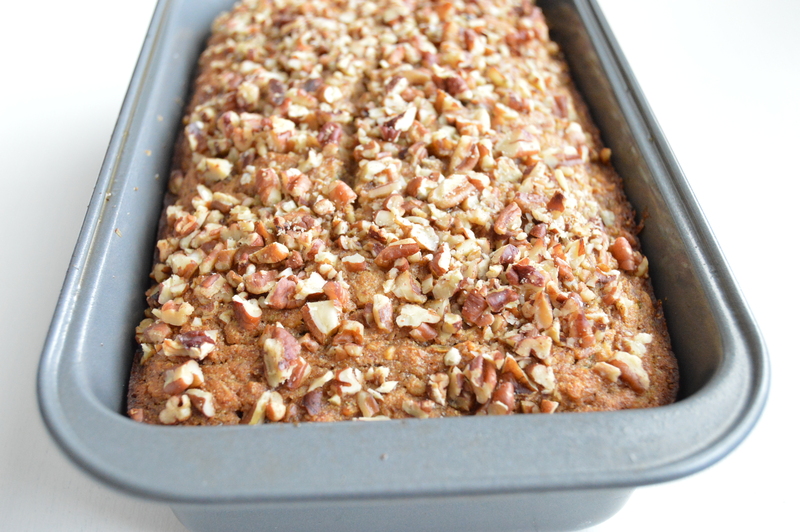 Sprinkle chopped pecans on top of each loaf. Place both pans in your preheated oven and bake for 55-60 minutes. Start checking at 50 minutes with a toothpick. When it comes out clean, they are done. 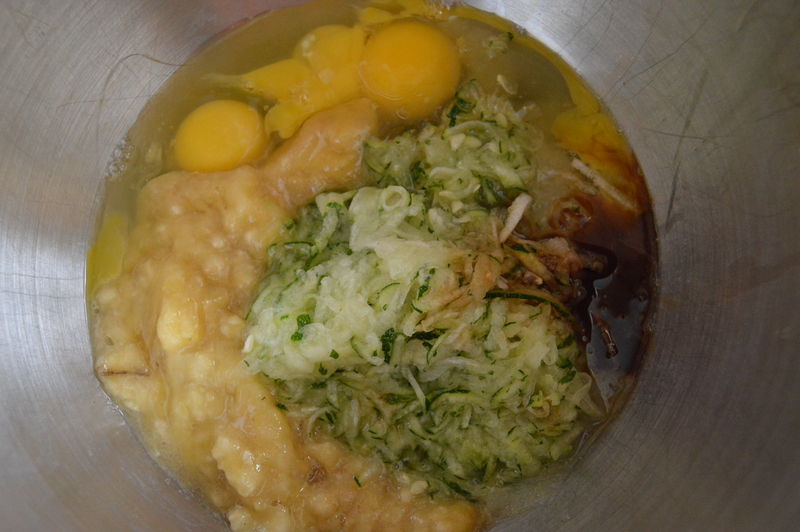 In the bowl of your mixer, add the apple sauce, honey, eggs, vanilla, zucchini, and mashed bananas. Mix on medium low until it's all incorporated well. Hi! Is there an alternative to ground flax seed? Thanks! You could really just not put it in if you don’t have it or don’t want it. It’s just for a little extra nutrition. 🙂 You could try oat or wheat bran if you have either of those? If you don’t have bananas , could you just omit them? I’m sure it would be fine without the bananas, but I would suggest replacing them with something else kind of sweet like maybe apple sauce? Let me know how it goes! 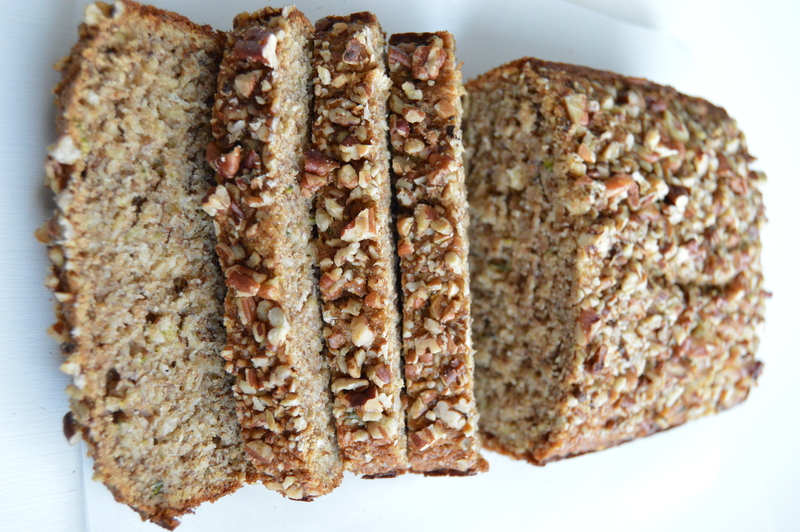 How much flax seed do you use??? It only stand 1/4. What can you substitute for the apple sauce? I forgot I didn’t have any in the house. This bread is so delicious! 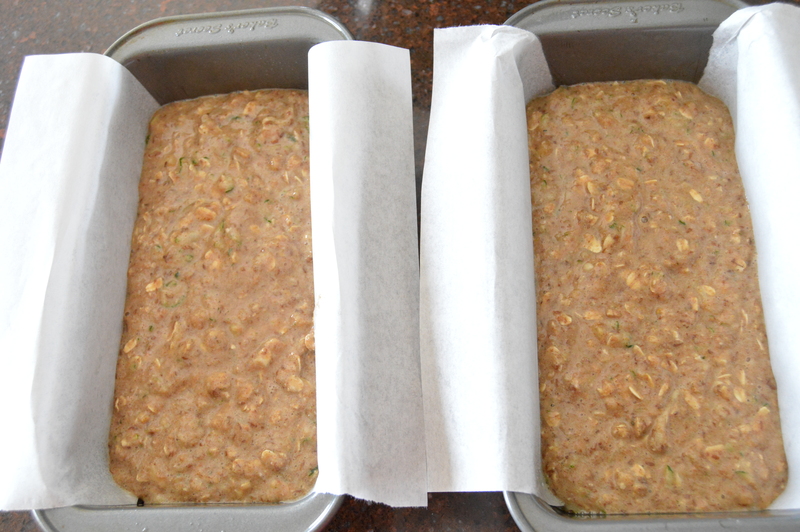 I cut the recipe in half to make one loaf… and now wish I hadn’t! I can’t stop eating it! Thank you for sharing the recipe with all of us! Could you freeze this for later? I have made this before and do freeze it! Could you use gluten-free flours? So my toothpick came out clean but I still feel like it’s a little gooey but further cooking would just burn the top and bottom. I feel like it’s like this with most healthier banana breads. Am I just doing something wrong or is this how it is supposed to turn out? You are right. That’s kind of how it is with healthier banana breads. They are super moist. I would just make sure and let it sit for a good long time and cool all the way before cutting it. Maybe even chill a little in the fridge. I followed the recipe to a T… they taste a bit weird to me, not sweet at all… i put in cupcake liners and baked for 25 min.. They looked good but are very bland and stuck to the paper liners. Made it last night. Wife loved, it took some to work today and they all loved as well. Making a couple more batches tonight. Love love love this recipe! I used coconut flour (1/2 a cup like you said in an earlier comment) and it was perfect! I even let some coworkers try it and they couldn’t believe it was sugar free. This time around I made muffins with it (baked 30 minutes at 300 degrees f) and I couldn’t be happier with them. Planning on freezing them for a quick breakfast, but only if I don’t eat them all tonight. Definitely a keeper, thanks so much! Oh awesome! Thanks so much for the comment! Hi does T stand for teaspoon or tablespoon? Could you use almond flour instead? You could experiment with it but I find it behaves much differently than other flours. If you would like to try it, I would start with much less, like 1/4 or 1/3 C. Let me know how it goes! I tried this recipe tonight and it was nice and moist but 1 tsp of salt is way to much. I thought 1 tsp seemed like to much when I was mixing the recipe but I figured that no one else commented on it that had tried the recipe so I thought it must be alright. Big mistake both of my boys tried a bite and wouldn’t eat anymore. I love that there’s so many healthy ingredients in this recipe so maybe I’ll try it again sometime. I actually have no experience with spelt flour so I don’t know. Give it a try though, and see how it goes! I followed this recipe to the T and mine came out darker and extremely dense. It seems the inside never cooks but if I cooked it any longer the outside would have dried out. Oh shoot! I’m sorry! I’m not sure what happened there. That happens to me with baking occasionally, too. But I haven’t had this problem with this recipe. Has anyone else had this problem?? Hello! I'm Jenny and welcome to Chocolate Salad! I'm completely obsessed with cooking and baking healthy foods and I would love to share my creations with you! Get my latest recipes in your Facebook Feed!